An ongoing series wherein CWILL BC writers and illustrators connect a picture or an item to one of their books. In 2003, a man dropped a cigarette outside his home near Barriere. It ignited some dry pine needles and flames swept up the mountainside. The resulting forest fire burned for weeks and weeks and caused over eight million dollars in damages, destroying seventy-three homes and a mill. 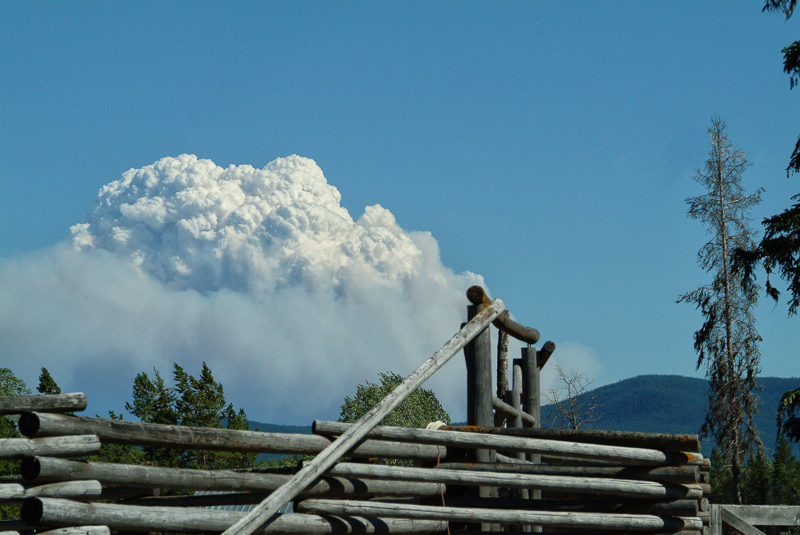 We live on a ranch in Bridge Lake in the Cariboo, a fair distance from Barriere, but we watched the progress of the fire anxiously. We kept a map spread out on our dining room table and charted the fire’s progress toward our community. It was a beautiful summer with day after day of sunshine but we couldn’t enjoy it. We prayed for rain. One morning, a cloud of smoke appeared just beyond our horse corral. The fire was behind the ridge and we were put on evacuation alert. We watched that cloud of smoke (my nephew said it looked like an atomic bomb!) for a week. We started to move our eight horses to safety at a farm in 100 Mile House. One morning, the smoke in our yard was so thick we couldn’t see more than a few feet. A man in a truck roared down our driveway and told us to leave that afternoon. It was time to load the last three horses in the horse trailer. My daughter’s horse, Tippy, spooked by the smoke, refused to go in. We seriously considered leaving him behind, with the gate into crown land left open so he wouldn’t be trapped. Tippy’s story had a happy ending as he eventually loaded into the trailer. 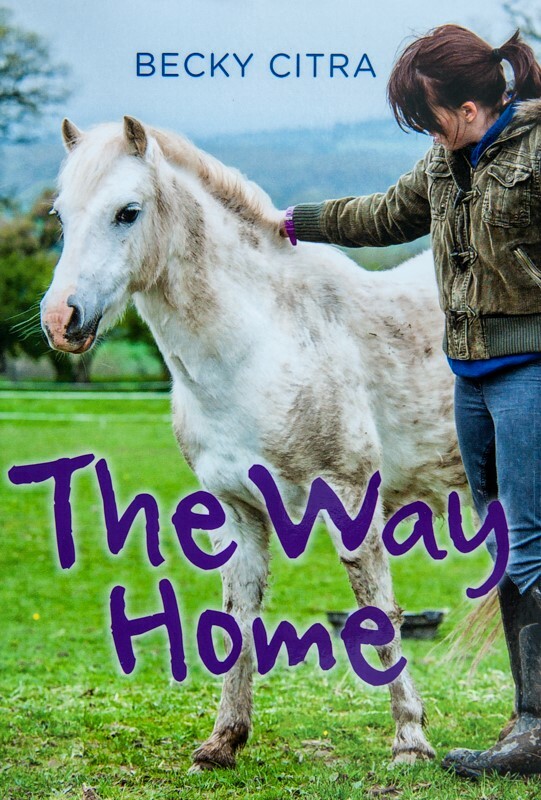 The Way Home is the story of a foster child, Tory, and her beloved pony Lucky. It tells what might have happened if we had indeed left my daughter’s horse behind on that terrible day. The Way Home is published by Second Story Press. Becky Citra is the author of 19 books. Her young adult novel, If Only, will be released in October 2013. This entry was posted in books/writing, new publications, novels, Starting Points, writing process and tagged Becky Citra, New books, writing process. Bookmark the permalink. What a moving introduction to what sounds like a dynamite story. Can’t wait to read it!